After the pulse tests i decided to try some FMCW Radar to see if it more sensitive as suggested elsewhere. Initial results show that it does appear to be more sensitive with much less power. 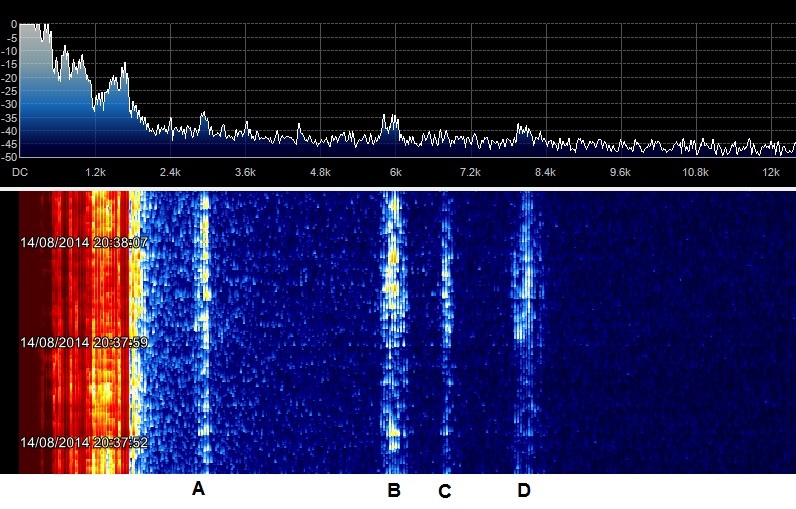 The Chirp radar is a very clean signal, 1MHz wide, Swept up/down every 20mS (Sawtooth profile). 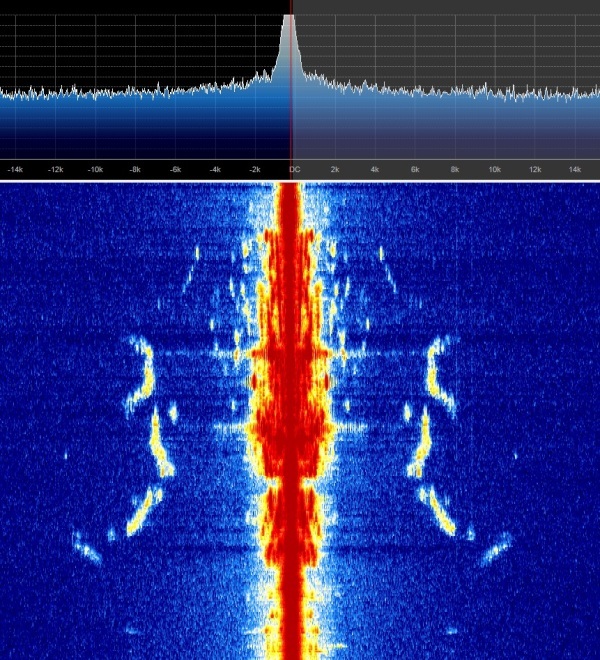 The two spikes at either end are the result of poor timing when driving the AD9852, ramp up/down time specified in the PIC is longer then the sweep time itself, to be fixed but not sure it really matters.. The Tx is connected to a 60cm Dish and the rx is a 20dB horn just above the dish with the PLL LNB attached. The Tx signal appears to be just below the overload threshold of the LNB, some local reflections cause it to be come unstable! Using a 45cm dish on the Rx instead of the horn will improve isolation i think. See below for some plots and a map of the reflection points on a test this evening. 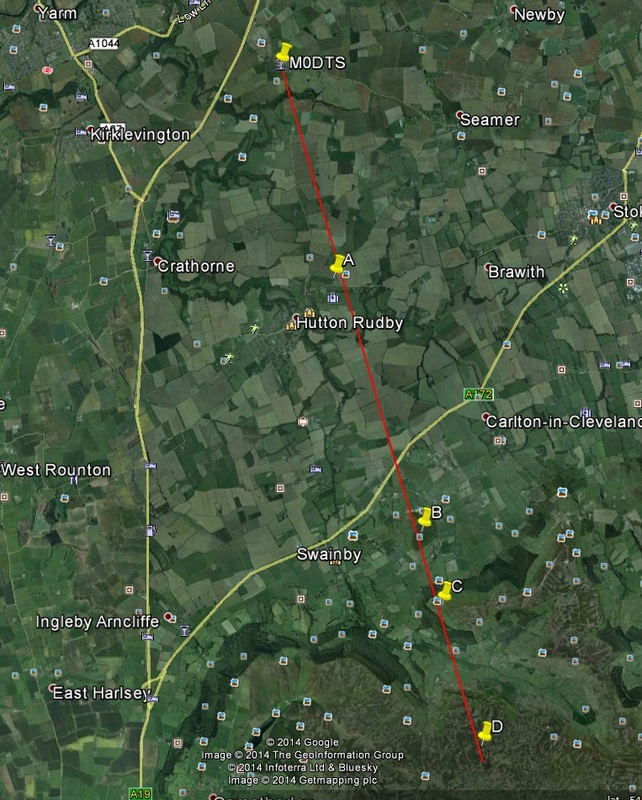 Here is a pan around with the dish from south east to south west, the furthest reflection point is Bilsdale TV mast at 16km, Tx power into the 60cm dish is about 50-100mW.